What this Prestashop Sorting Tabs Module offers? 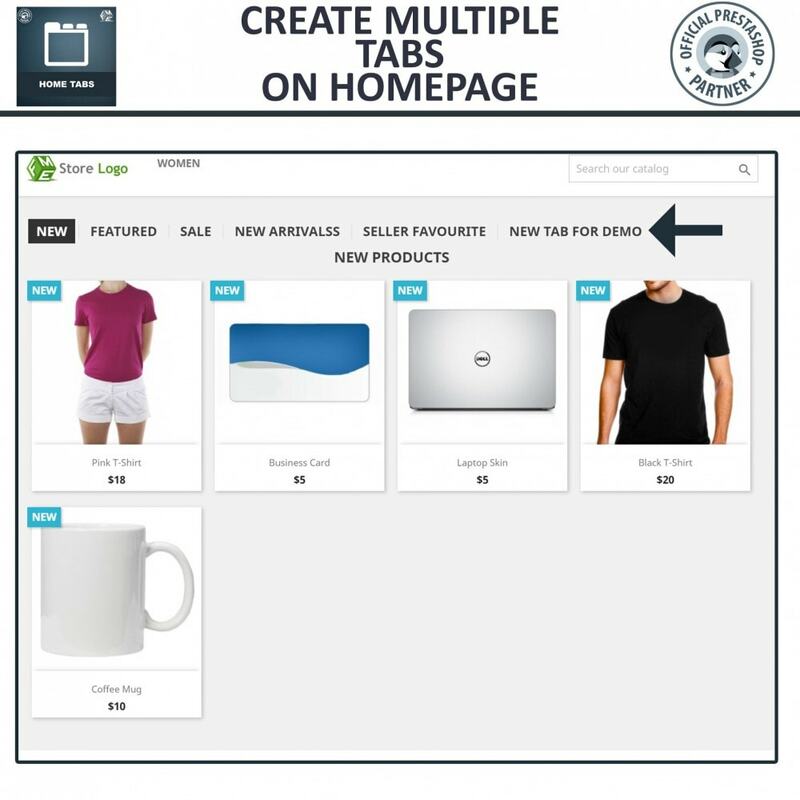 Those products that are frequently purchased can be purchased even more frequently by setting a top selling products tab in the block to represent them. Products that are launched or released on seasonal and occasional periods come under new arrivals tab. Customers are always looking for something new to try for a change. 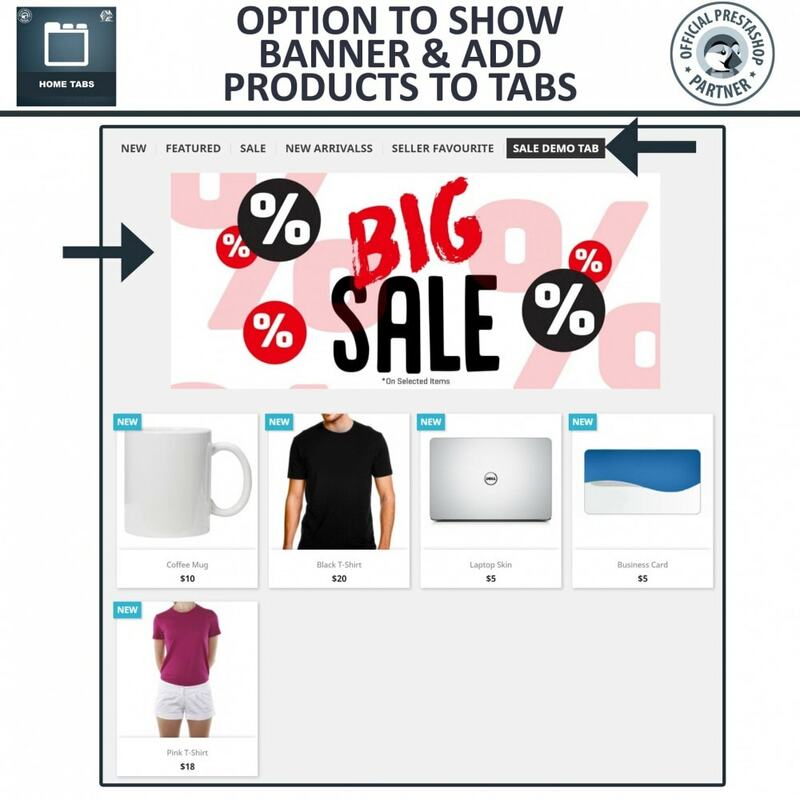 You can also put products that are in need of attentions with new or updated features in recommended product tab to reintroduce them to the customers. 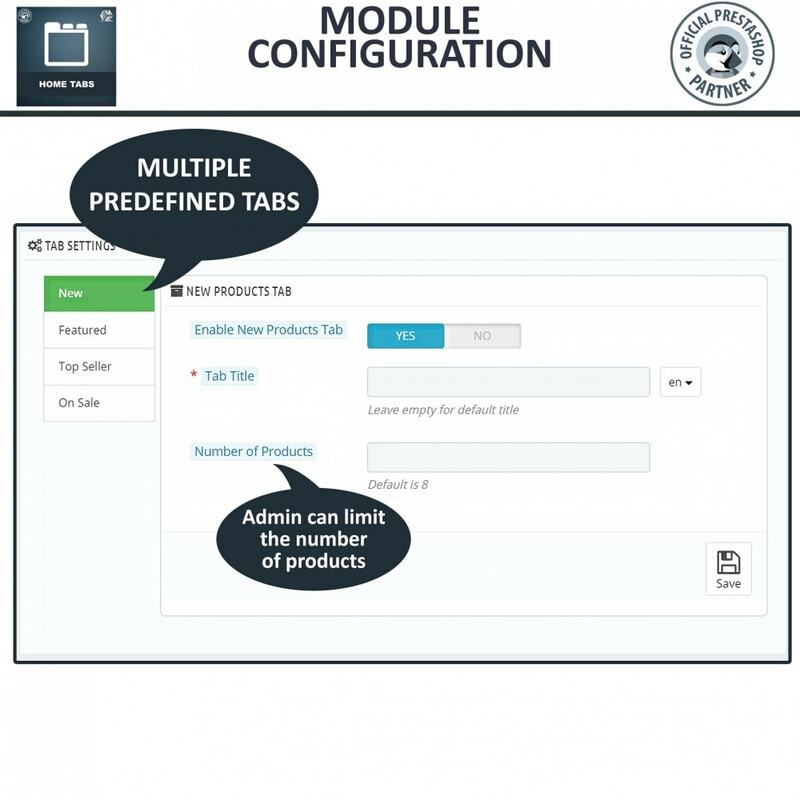 This module supports the custom tabs feature where you can create a custom tab and add product of your own choice in it. The most prevailing issue that prevents customers from successfully buying products is the excessive amount of products displayed with almost similar features. This extension narrows out the best of the best and presents them in front of the customers hence reducing decision time and frustration of the customer. 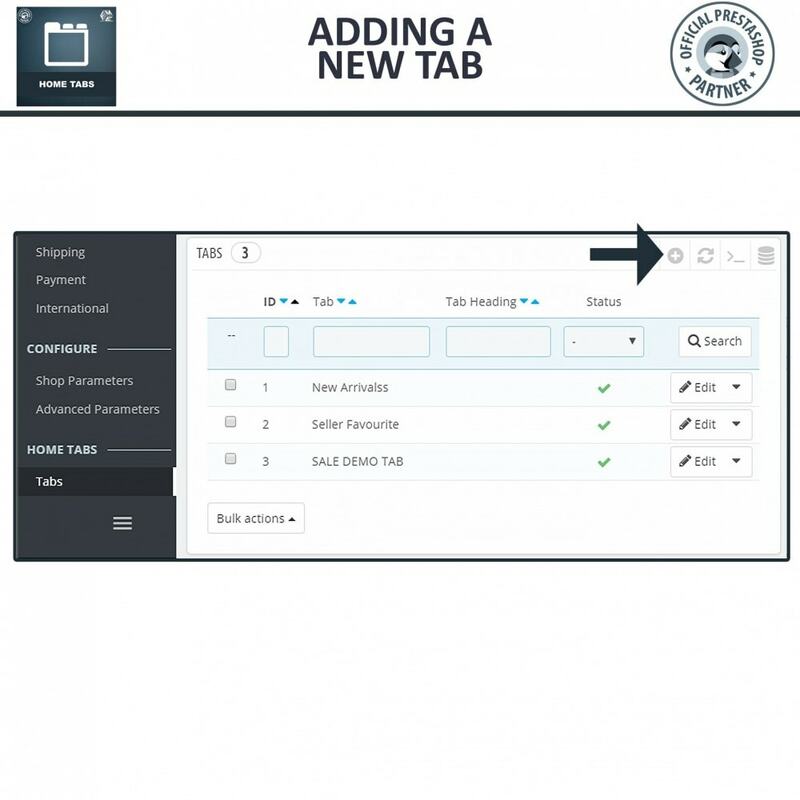 The user experience improves as less searching and shuffling of pages is required to find the desired product by the customer. 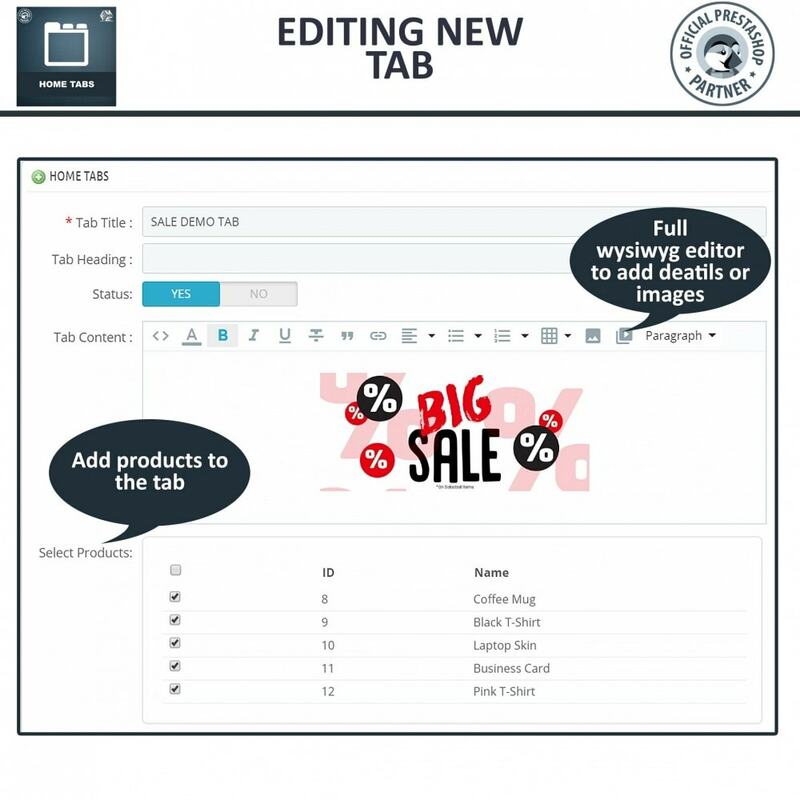 Just by clicking the selected product tab, all the products relevant to the title are displayed instead of entering searches.